The Yamaha R3 fills a gap in the firm’s sportsbike range between the learner-friendly Yamaha R125 and the track-focused Yamaha R6. A2 licence restrictions won’t be troubled by the R3’s 41.4bhp but the bike’s spritely 169kg weight and predictable handling mean that it’s far from boring. More importantly for bikes in this category, the R3 looks great, with a larger road presence than you might expect and a 140-section rear wheel giving it the feel of a larger capacity machine. Due to the nature of motorbike licencing laws, R3s are often only kept for two years by their owners who then sell them on to move up to something bigger. This means there are plenty of low mileage examples around to choose from. 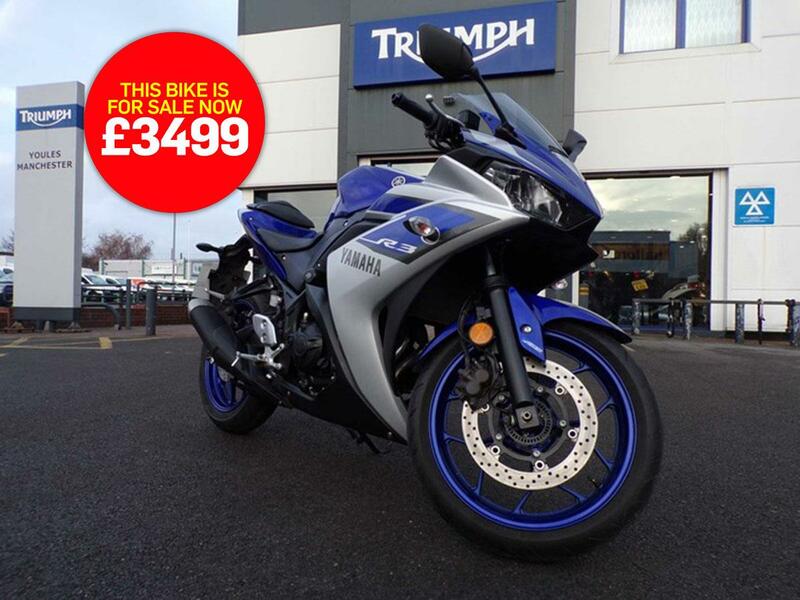 This bike is available from Youles Motorcycles, Manchester, who say: "This Yamaha YZF-R3 is finished in Yamaha blue and is in excellent condition, with only 6848 miles on the clock. It has a full service history and comes fitted with a Datatool alarm and Datatag. "This is the perfect A2 licence bike and can be reserved with a fully refundable £50 deposit. for more information please contact a member of our sales team Steve, Andy or James on 0161 708 2620. "We guarantee this bike down to the last bulb for four months or 4000 miles and also offer a lifetime warranty on some major components please see terms and conditions on our website for details."